Please send in pictures of your growing areas! We would love to share how you grow your Fūkiran . 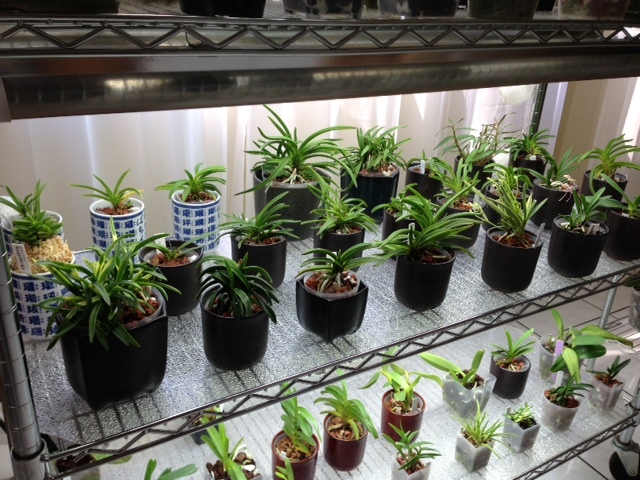 This is my growing area and is affectionately called the House of Neo! Most are potted in moss, some are in bark mix. There is no cooling and heating in this outdoor structure. This is one of the hanging tiered pot holders. It makes a great use of space! Carol grows outside for most of the year. 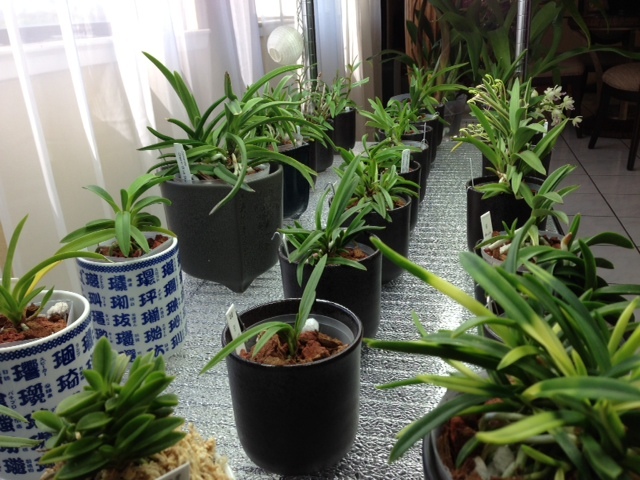 (Photos with Dr. Glenn Lehr) Carol also uses several Neofinetia hangers in her growing area.